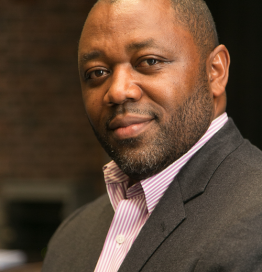 Dr. Nkem Khumbah is a lecturer and member of the STEM-Africa Initiative at the University of Michigan. He holds a Doctorate degree from George Mason University. Prior to joining the faculty of the University of Michigan, Dr. Khumbah was an Assistant Professor of mathematics at North Georgia College and State University. He also held research fellowships at Institute for Pure and Applied Mathematics at UCLA and the Mathematical Science Research Institute at the University of California at Berkeley. His research has been on development and application of mathematical structures that facilitate the compression of massive data sets with minimal distortion to the statistical structure of the data. An avid ambassador of international scientific capacity and human development, he was founder and chair of the Buea (Cameroon) International Conference Series on the Mathematical Sciences (2009 – 2013). He has been consulting for and closely working with multiple regional and international organizations, including the African Union, select African governments, the World Bank African Centers of Excellence Project, UNESCO, Washington-based Constituency for Africa (CFA), the Association of African Universities, the African Network of Science and Technology Institutes (ANSTI), among others. He served in 2015 as Founding Executive Curator of the Next Einstein Forum (NEF): Africa’s Global Forum for Science, Policy and Society. He served as the Science and Technology chair of the first ever African Continental Summit on Higher Education in 2015, and co-authored recommendations that were adopted by the African Union, at its establishment of a Committee of 10 African Heads of States as continental Champions of Science and Education. His articles have appeared in numerous journals, including the New York Times and the African Policy Review, and he continues to present at numerous conferences and symposia as keynote speaker, panel member and speaker in North America, Africa, Asia, and South America.